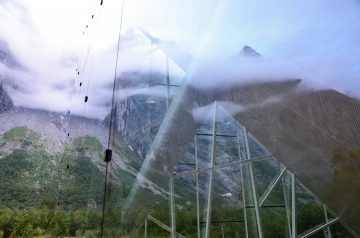 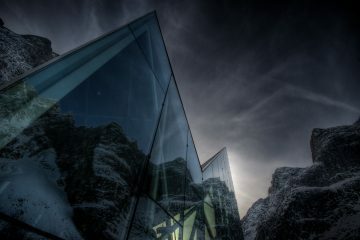 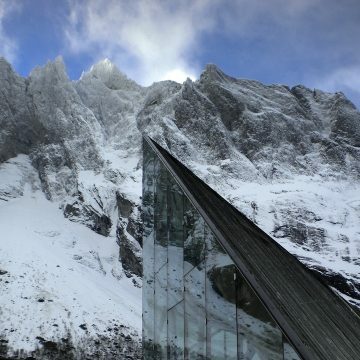 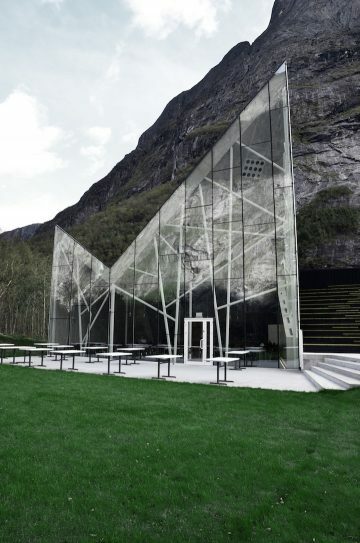 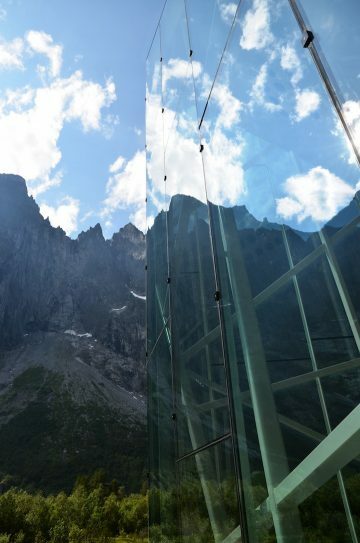 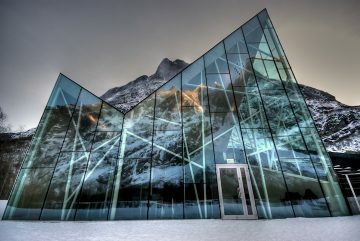 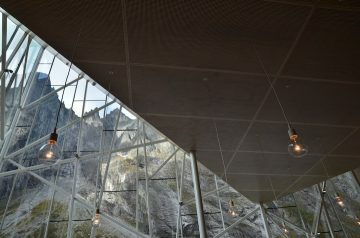 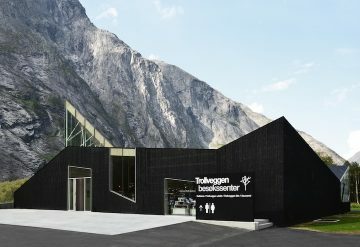 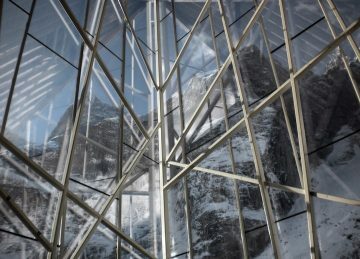 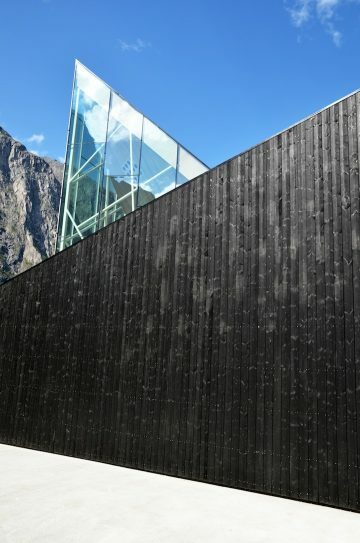 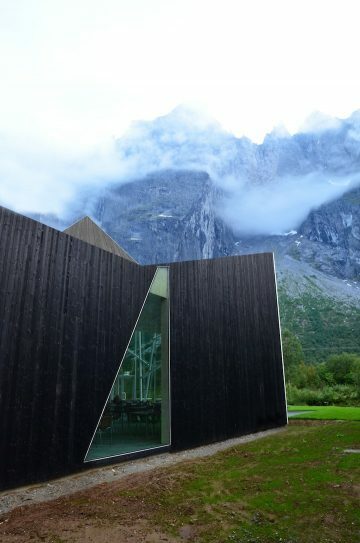 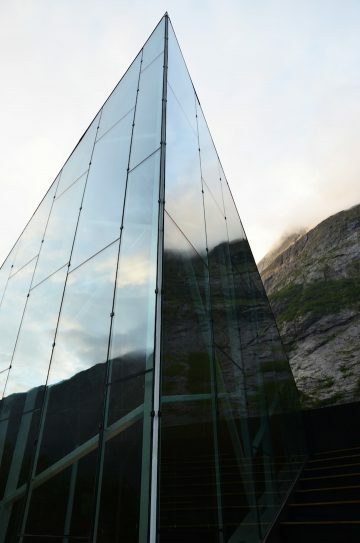 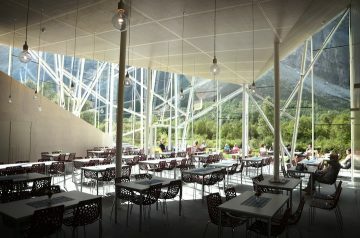 The new visitor center in Trollveggen, Norway, is an outcome of the sites’ close connection to the impressive mountain wall, also called Trollwall; Europe’s tallest vertical, overhanging rock face in The Romsdal Valley, also famous for it’s base jumping, including ‘birdmen’ jumping off cliffs in Wingsuits. 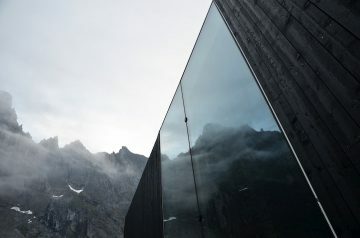 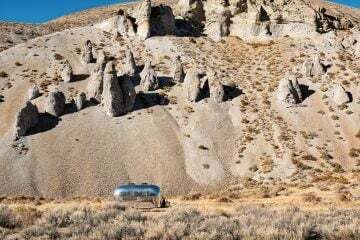 Reiulf Ramstad Architects used this exciting setting to carefully plan the new visitor center in relation to the gigant Troll Wall in order to built a character, which identifies and reflects the majestetic surrounding landscape. 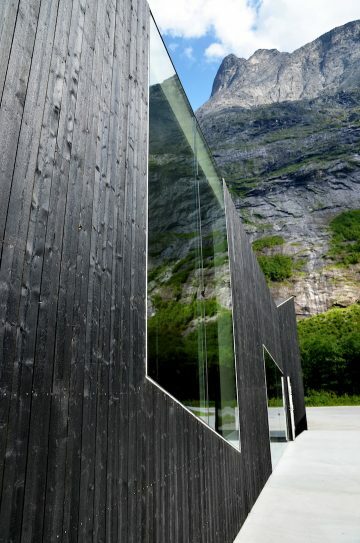 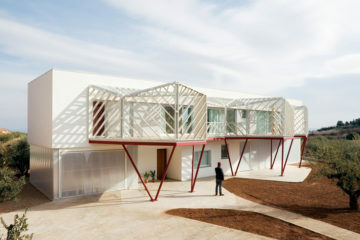 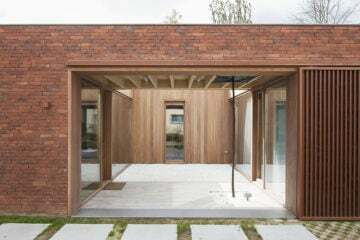 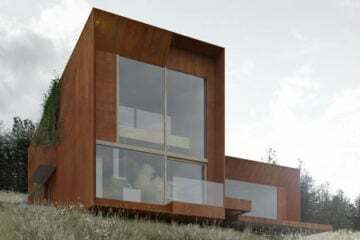 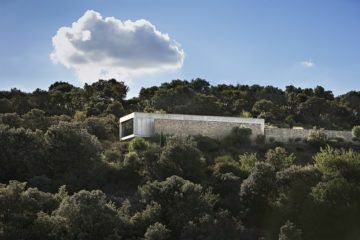 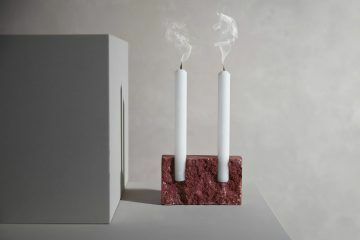 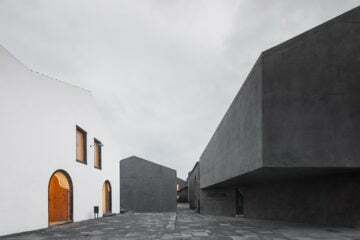 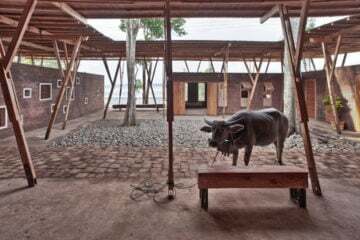 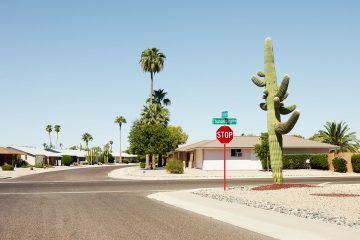 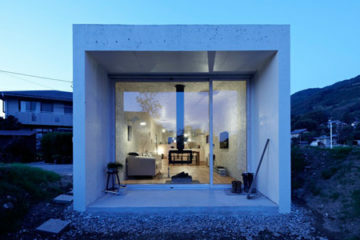 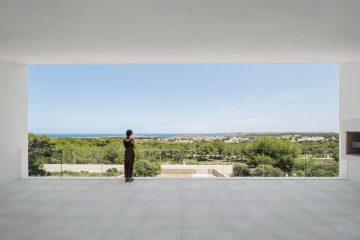 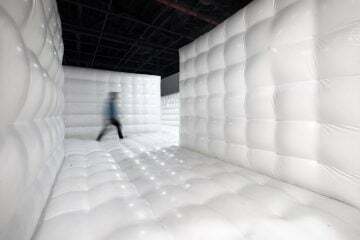 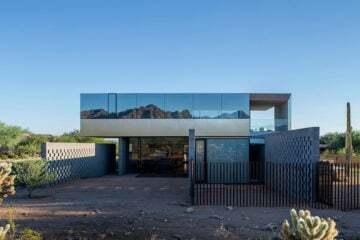 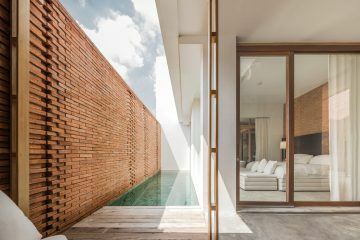 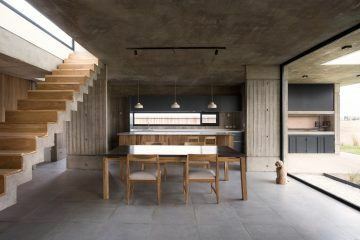 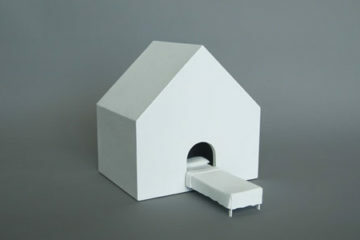 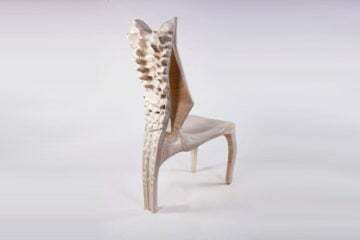 Next to its big brother they created an architectural attraction and eye-catcher by itself.